The ebook tech services company Firebrand has just expanded into yet another market niche. Firebrand announced this morning that it had closed a deal to acquire IP created by Calgary-based Enthrill, a provider of ebook gift cards which can be sold in retail stores like Walmart or (for example) given away at conventions. The cards are redeemed online for ebooks which can be downloaded. Firebrand Technologies, a pioneer in publishing technology services, today announced the acquisition of the technology assets and brands from Enthrill Distribution, Inc., a provider of innovative digital content distribution technologies for the publishing industry. The acquisition includes PackaDRM, a device agnostic social DRM, and the Endpaper Engine, an ebook delivery platform that delivers ebooks into any reading device. Kevin Franco will continue to work with Firebrand as a consultant for the foreseeable future. Enthrill had previously raised $1.3 million in a capital round in 2014. Firebrand also owns marketing services such as Eloquence and Direct2Reader, and had previously purchased Netgalley (ebook review samples) and eBook Architects. And now it owns Enthrill's tech for ebook gift cards. Enthrill started negotiating this deal in late 2016; I found out about the negotiations in mid-November. There are a number of details which I can't share, but publicly available info does not fill me with optimism for the future of ebook gift cards. Clarification: Firebrand bought Enthrill's DRM and delivery tech, not the ebook gift card tech. I was just told by email that "The gift card and retail programs were decommissioned in early 2016." So the thrust of the story of the story remains the same. For example, Amazon has briefly experimented with this niche. 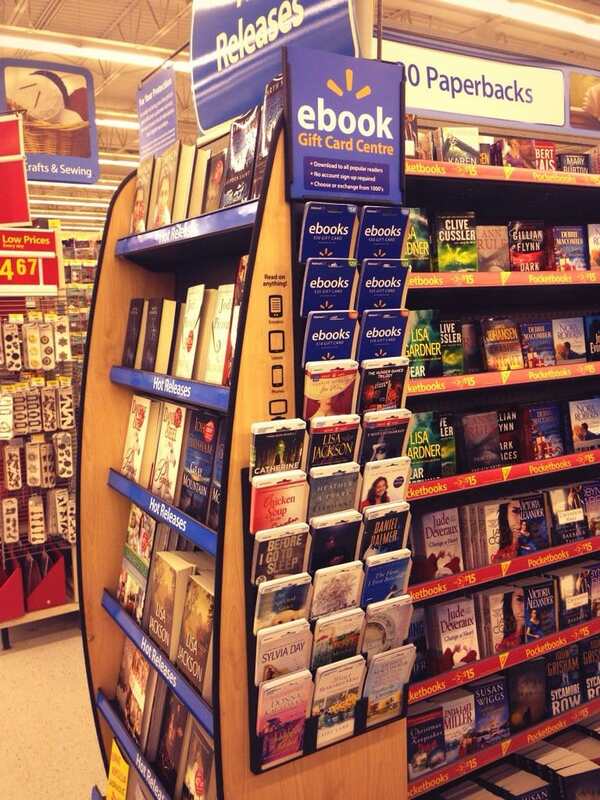 They launched a pilot where Kindle ebook gift cards were sold in drug stores in the Seattle are. That pilot started in June 2015, and concluded in June 2016, and is just one of several less-than-successful attempts to introduce ebook gift cards into retail. Other examples include Livrada, which briefly trialed ebook gift cards in Target stores as well as BookinCard.com and Quingo, both of which have gone out of business. Enthrill had previously had some commercial success; it ran Walmart's bookstore in Canada. And now it is selling off its assets to Firebrand. This is clearly not a technology which is going anywhere fast.